These long sleeved BSF threaded retro fit wheel nuts are suitable for twin wheel fitment on Scania trucks & coaches. These long sleeved BSF threaded retro fit wheel nuts are suitable for twin wheel fitment on Scania trucks & coaches. They are of the highest quality and are produced by the same manufacturer that is used by all the major truck manufacturers. 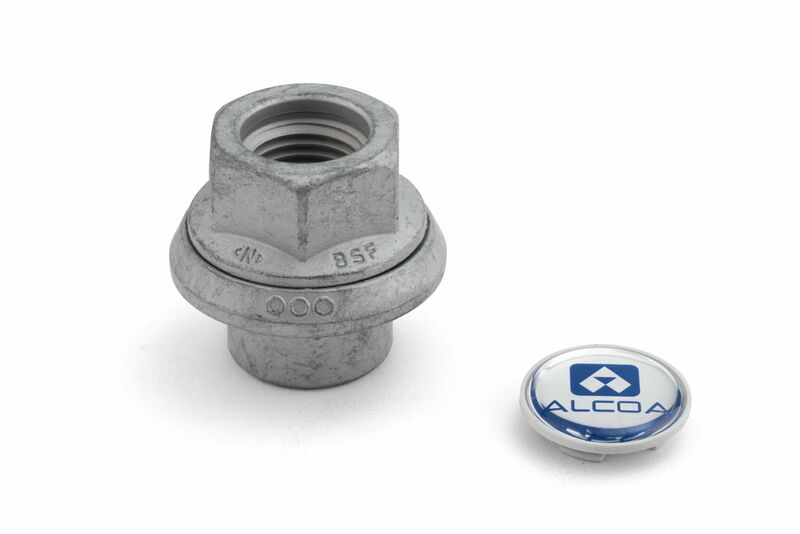 These wheel nuts come with Alcoa® logo end caps that clip into the end of the wheel nut they are dacromet coated to help prevent corrosion and have a pleasant silver grey colour to them. These wheel nuts are a fantastic alternative to changing your wheel studs to the longer type to suit Alcoa® wheels. Please be aware that these wheel nuts are only suitable to be used in conjunction with the correct retro fit Alcoa® wheels with the enlarged 32mm in diameter wheel stud hole.